Ever since the movie Clueless, I've been a fan of Alicia Silverstone. She hasn't done too many big roles since, but she was just perfect in that movie. More recently, she's been very active promoting her Vegan cookbook and teaming up with ecoTOOLS as an environmental activist, to product a brand new cosmetic bag collection, ecoTOOLS by Alicia Silverstone. This line launched in December 2009 at Walmart and Target stores. 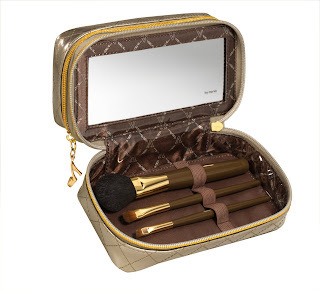 The line includes a compelte set of five cosmetic bags, ranging from a brush bag with a brush set to an overnight bag. Each bag is produced with a natural hemp material and uses a recycled PET lining. I've been using the Overnight bag religiously for travel. The inner pockets are plastic and easy to wipe clean in case of spills, and you can remove them too! It zips up fairly flat and it's easy to fit in front pockets of suitcases. 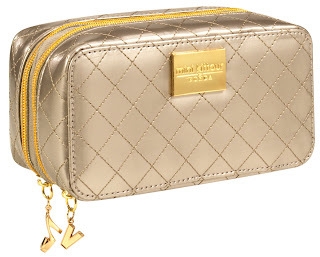 Enter to win the ecoTOOLS by Alicia Silverstone Overnight Bag! This giveaway is open to US residents only. The contest will end on Sunday, July 11th. I will randomly select TWO winners and announce them on Lipgloss Break, so keep checking to see if you're a winner - Good Luck!